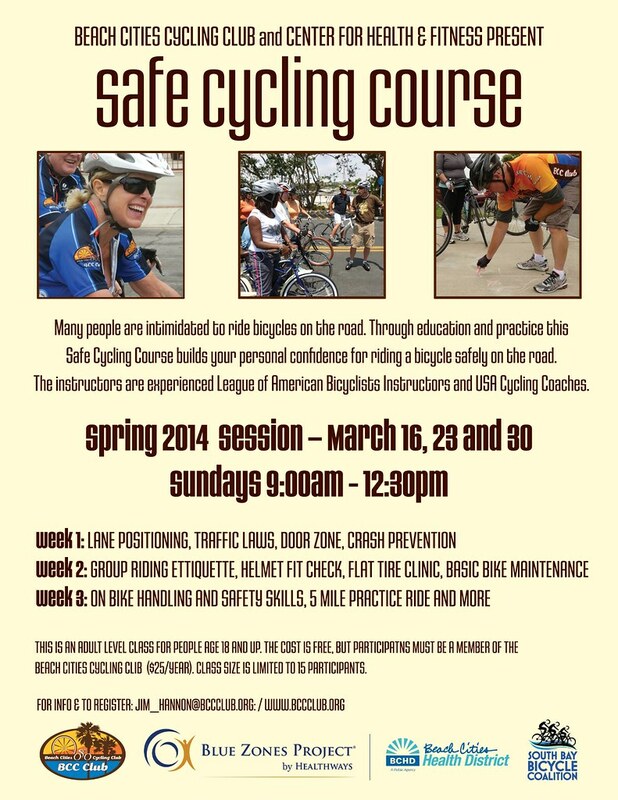 The Green Girl and Lexa attended a Beach Cities Cycling Club Safe Cycling Course in March. 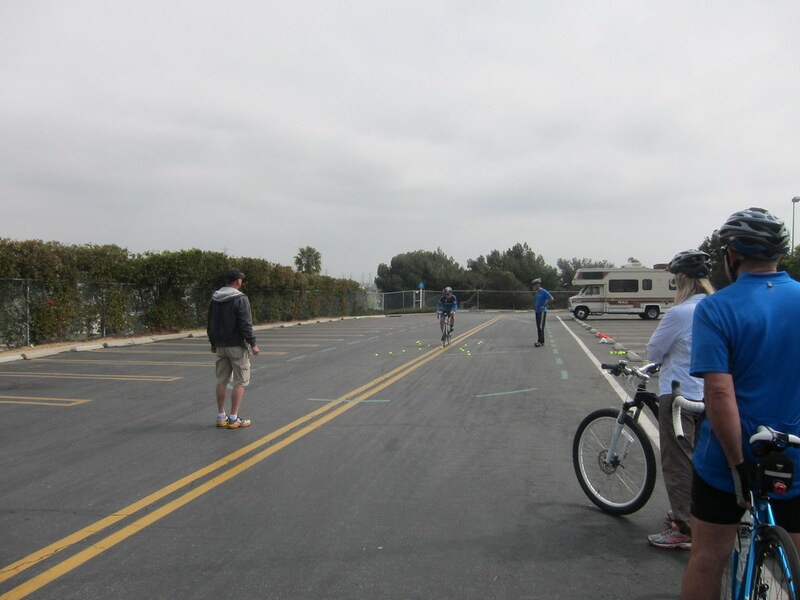 The Safe Cycling Course was held at Beach Cities Health District and consisted of 3 Sunday sessions from 9:00 am to 12:30 pm. 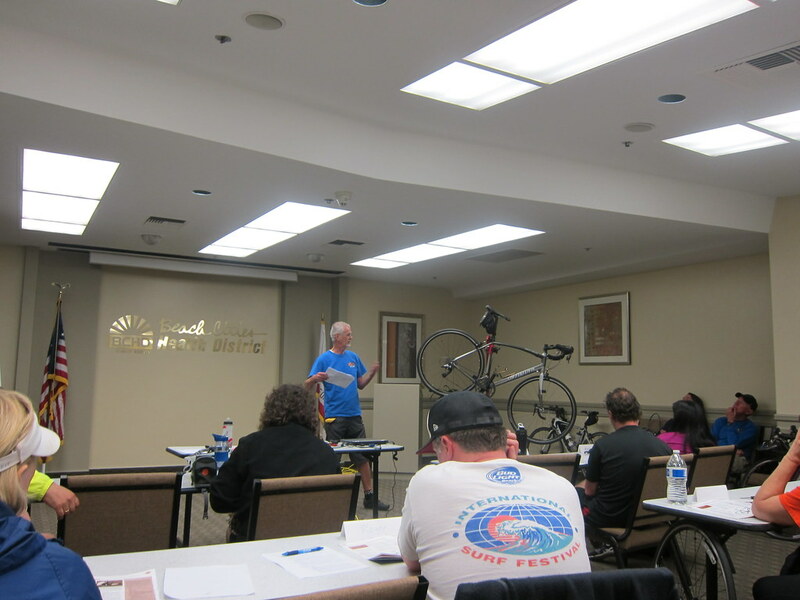 The sessions were a combination of lecture, demonstrations, and hands-on exercises led by Beach Cities Cycling Club founder Jim Hannon and other Beach Cities Cycling Club members. 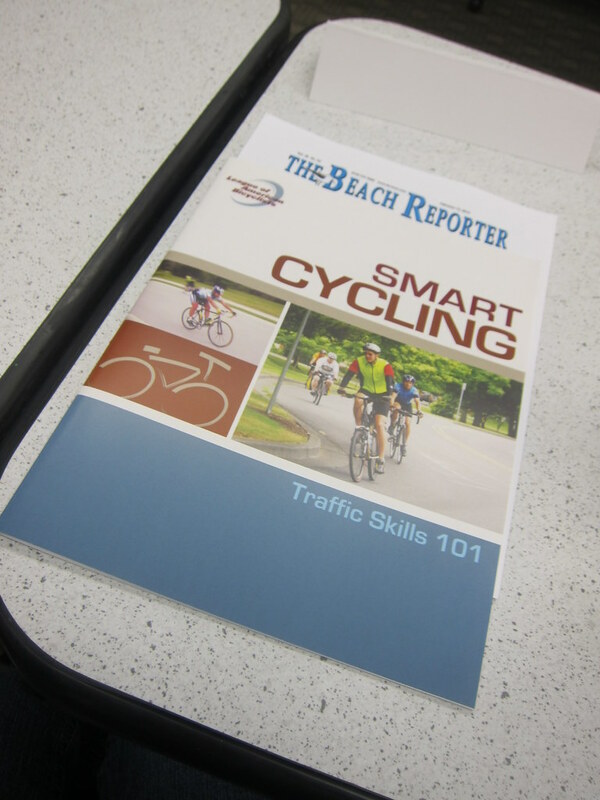 The course materials consisted of the League of American Bicyclists Smart Cycling Traffic Skills 101 manual, videos, and supplemental printed hand-outs. Dave Strelka started off Day One with an overview of the course. 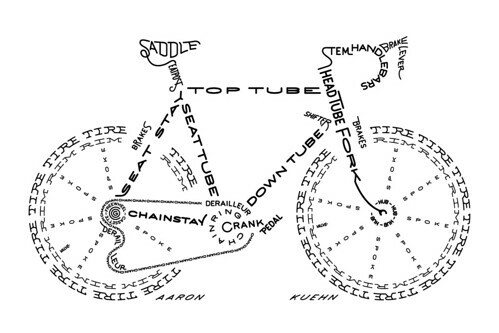 Then, Ride Co-Director Bob Young went over the parts of a bike using a clever bicycle typogram by artist Aaron Kuehn. 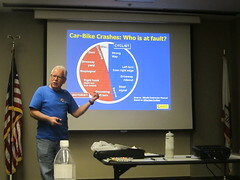 Jim Hannon presented a graphical depiction of cyclist versus motorist fault in accidents involving bicycles and vehicles. The pie chart indicated each party was responsible roughly 50% of the time. 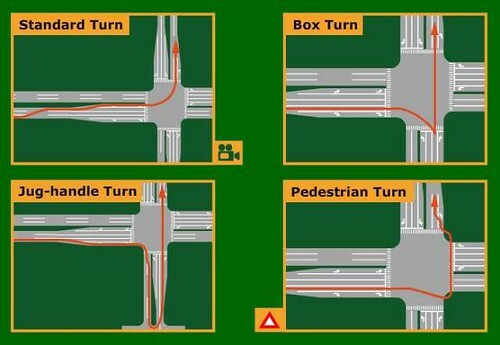 This made an impression on me because it made me realize by making an effort to be a safe and predictable cyclist, I can significantly decrease my chances of getting into an accident with an automobile. 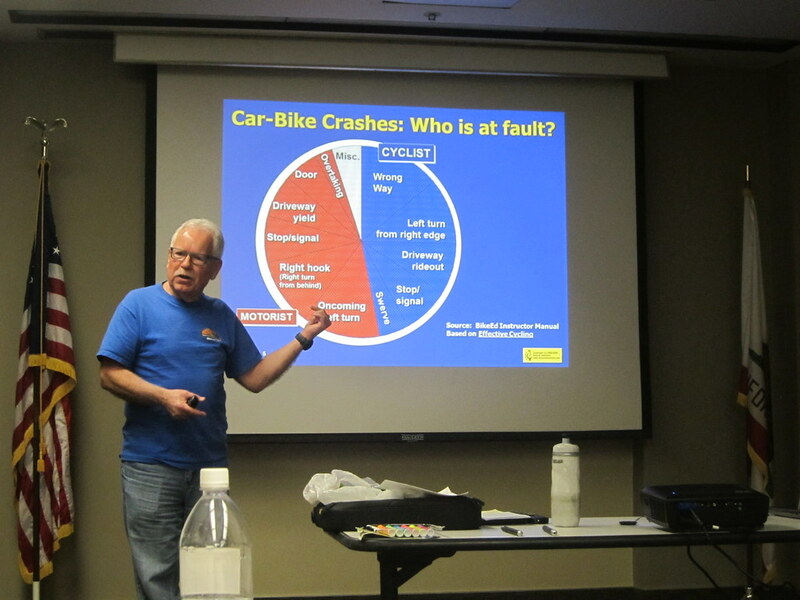 Hawk Granville went over the different types of bike lanes and considerations when riding each bikeway. Danny Hylands covered maneuvering intersections. 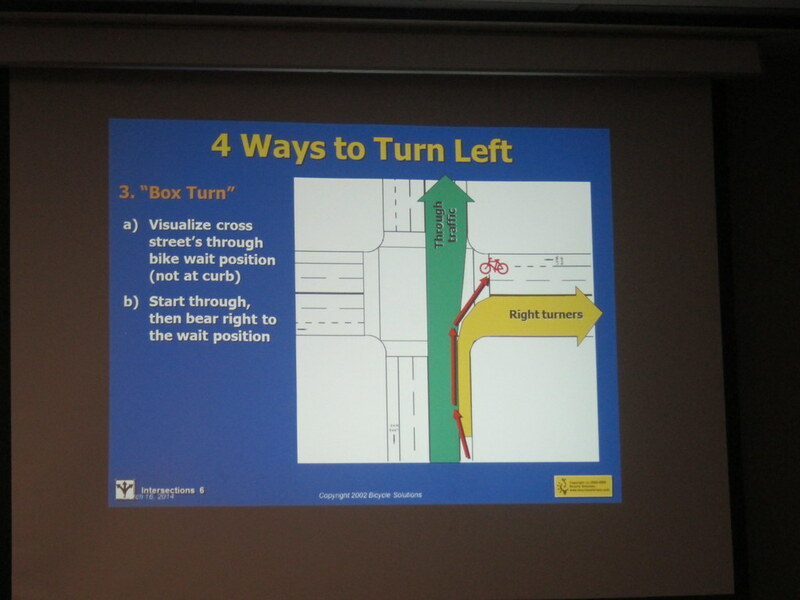 We learned there are 4 options for making a left turn. Peter Richardson kicked off Day Two with the 'ABC Check'. Craig Barton covered the 'Basic Bike Tools for the Road' and demonstrated how all of the essentials fit in his saddle bag. Chuck Morton showed us how to properly change a tube and tire. He suggested we line up the rim logo, tire logo, and valve for consistency and to make it easier to isolate a potential tear. 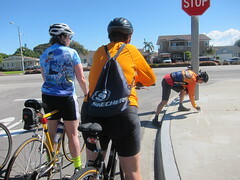 After the demonstration, we broke up into groups and practised changing tires and tubes. 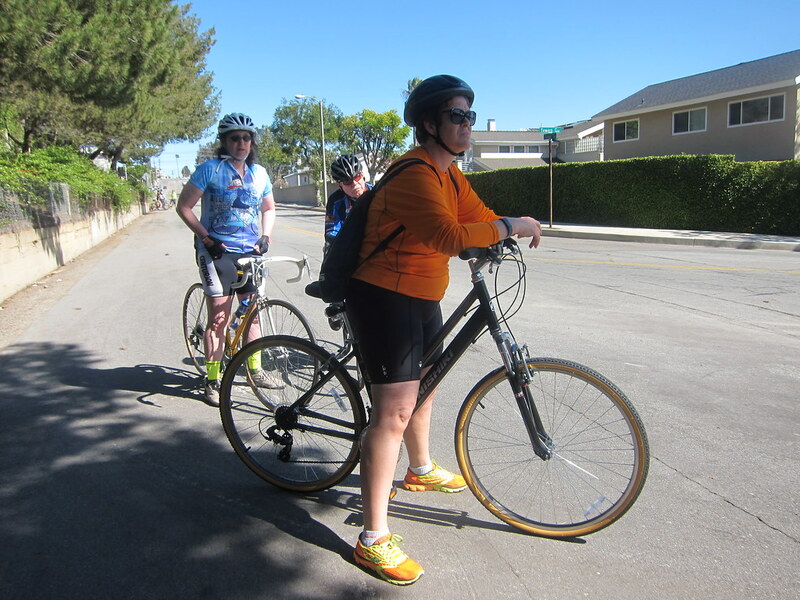 Once we were all comfortable changing tires and tubes, we moved outside for our first lessons on the bike. 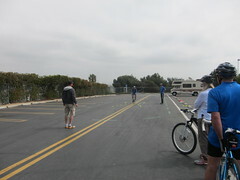 The Beach Cities Health District parking lot featured a painted course designed for the bicycle drills. The remainder of Day Two and all of Day Three - with the exception of our final ride on the streets - took place in the parking lot. Danny Hylands started us off with the exercises. 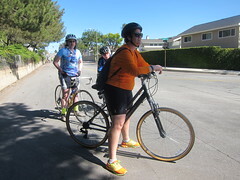 Another Beach Cities Cycling member, Stacey Timberlake, also helped demonstrate and lead. For each maneuver, the instructor would explain when to use the move and why it was important. Then, one of them would repeat the demonstration until we felt comfortable enough to line up on our bikes and try it for ourselves. I appreciated how patient and helpful all the instructors were with all of the students - regardless of experience and ability level. 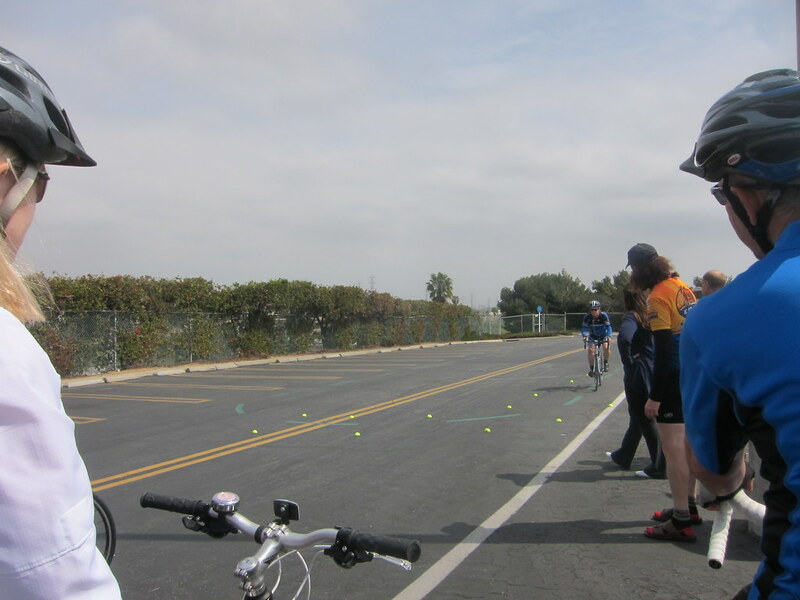 After going through all the exercises and getting feedback and advice from the different instructors, I felt much more confident about my cycling abilities. 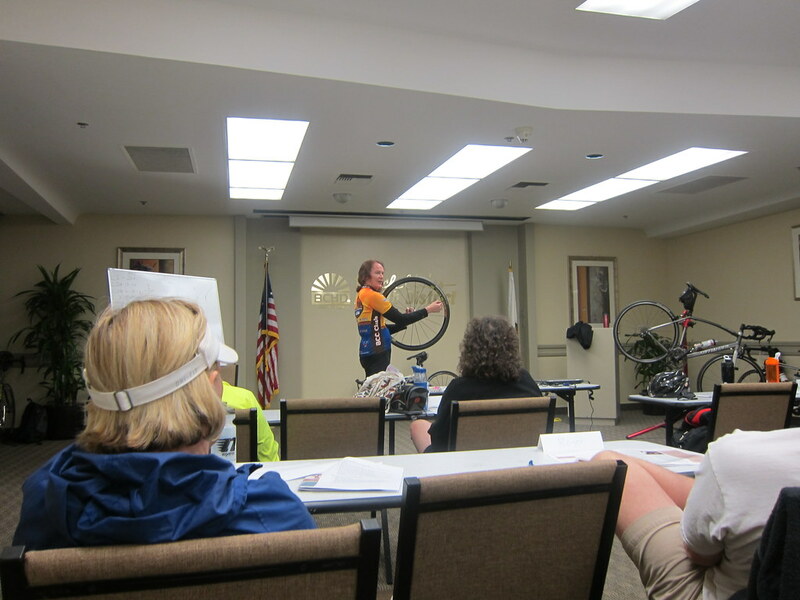 One of the instructors helped me practice moving my center of gravity back for the emergency braking by holding Lexa steady while I applied both brakes, quickly lifted myself off the seat, and moved my body over Lexa's rear tire. On Day Three, armed with our newfound knowledge, we were broken up into groups led by the instructors for a ride on the streets. I was assigned to Peter's group. Before we headed out, he went over the route in great detail. Once we started riding, he would stop us before each intersection so we could go over what skills from class we could apply to each situation. Lexa and I are much more confident when we are out on the road now that we've attended the Beach Cities Cycling Club Safe Cycling Course. 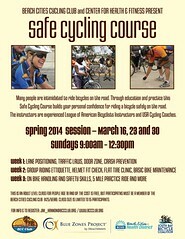 I highly recommend this course to any cyclist who is interested in cycling safety. 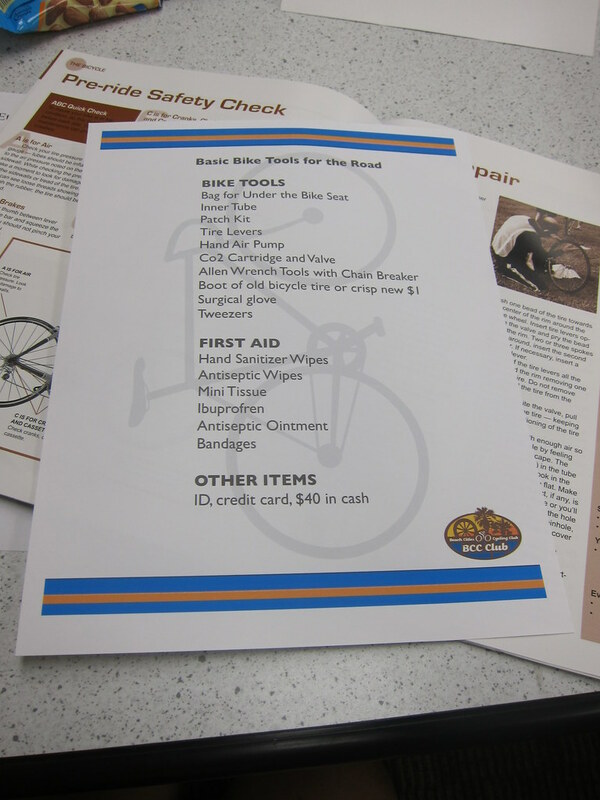 And I'm happy to report that my biggest fear - flipping over my handlebars - was assuaged by this class.